Summer 2018 through the eyes of TRACKS Education staff member Alex Roper! TRACKS Youth Program came back strong this summer. After a bit of a hiatus and the hiring of fantastic new coordinator staff, this program returned to deliver critical programming to youth across North Central Ontario. Allow staff member Alex Roper to take you on a journey through our summer together! As many of you know, TRACKS has been on a program pause over the last year. During this time we took time to reflect on what has worked well, what changes should be made and how we want to continue moving forward with innovative and culturally-relevant educational programming. One of these main changes is how the program is run. 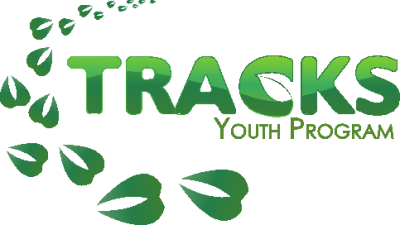 TRACKS is now working in a new organizational structure, where three coordinators are now working under the umbrella of TRACKS to deliver two distinct programs. Volunteer Orientation was a Great Success! TRACKS is always happy to welcome new volunteers to our awesome summer camps -- and every year our helper count grows steadily! On two Tuesdays in July of 2014, participants (staff, students and volunteers) of TRACKS summer camp program made their way to the Petroglyphs for a day of learning and having fun. During the March Break, TRACKS was able to go and visit a sugar bush. Lucky us! Along with parents, kids, staff and volunteers we were able to experience learning about a traditional sugar bush camp including setting up, hearing teachings, and of course, taste-testing!